Simge analyses the roles of different ideological perspectives on corporate governance. By classifying shareholder-centrism as the mainstream mode of corporate governance, she is bringing a critical and multi-disciplinary approach to understanding the reforms that have taken place in Turkey on corporate governance in the recent years in line with the socio-political global developments. Simge studied Law at Bilkent University, in Ankara Turkey, graduating with Honors. During her undergraduate programme, she spent a semester abroad in the Erasmus University Rotterdam, studying post-graduate level law courses. Following her B.A. she moved to London to pursue a Masters degree. She holds an LL.M from University College London (UCL) in International Business Law with a Merit. She was awarded a full scholarship from European Union Jean Monnet Programme for her LL.M studies. She wrote her dissertation on the subject of Cross-border Mergers & Acquisitions, where she analyzed the EU Takeover Directive in a comparative study. Simge is a qualified lawyer enrolled with the Istanbul Bar Association since 2011. She interned at Herguner Bilgen Ozeke Attorney Partnership in Istanbul as part of her mandatory Bar admission process prior to moving back to London, where she pursued a career in finance. She embarked on her career in London at Bank of America Merrill Lynch, in the Global Wealth and Investment Management department and after two years, she moved to Bank Julius Baer. During her work experience, she gained in-depth exposure to wealth and portfolio management, trading and global financial markets. After submitting her proposal for admission to the research programme at City University Law School, she was granted the “Future Lawyers Excellence Award” as scholarship for her PhD. 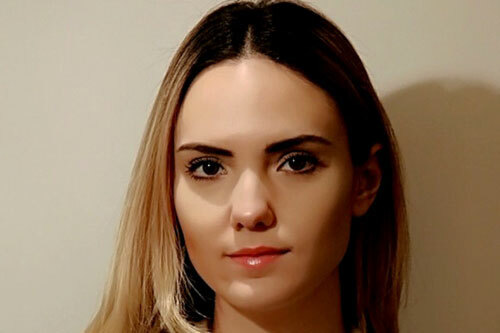 The area of research combines both her law education and work experience and she aims to specialize in her particular research interests with this Ph.D. programme. She has recently upgraded from M.Phil to Ph.D. successfully, and currently writing up her thesis.